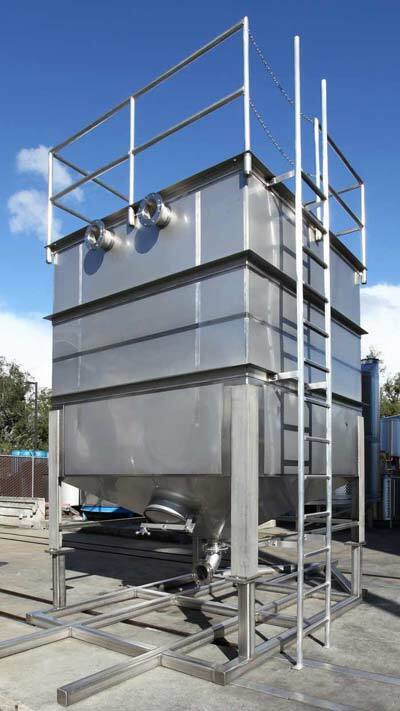 This tank is now on wheels in Southern California where it is used for rainwater collection and distribution. This one-of-a-kind tank is square with drains and ports at the bottom and an exterior ladder. One of our partners for oaking systems carefully chars oak to light, medium or dark toasts. The wood smoke must be scrubbed before release into the atmosphere. 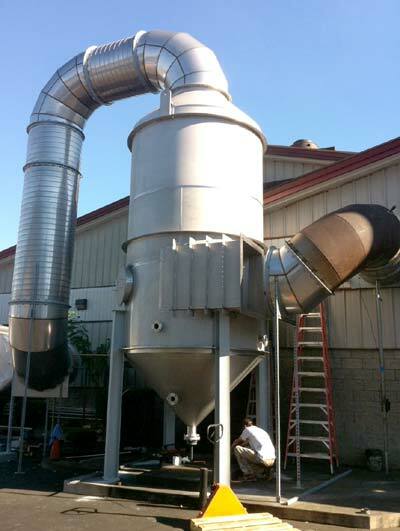 The Cyclonic Separator pulls in the smoke, whirling it at high speed as it sprays water to wet the tiny burned wood particles which become heavy enough to precipitate out. The liquid is drained and filtered for safe disposal. This cone is about four feet high and was fabricated from a pencil sketch. 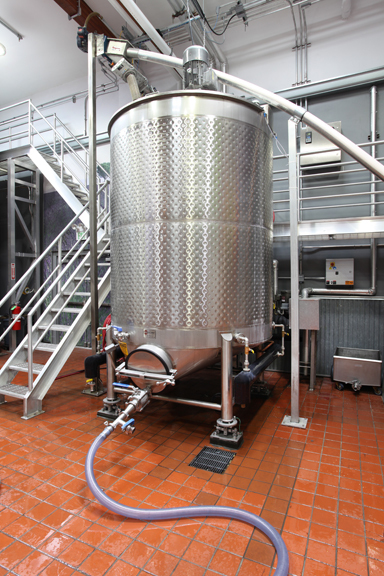 Westec designed and built the UL-certified High Proof Tank for Purple Wine + Spirits, the new distillery built by Sonoma Wines. Working with Sonoma Wines for the new distillery they were building, we designed and built this mash tank. This 10,500 gallon Chardonnay tank with the Westec logo at the top is outfitted with five chill sleeves and a serving spigot at the bottom. 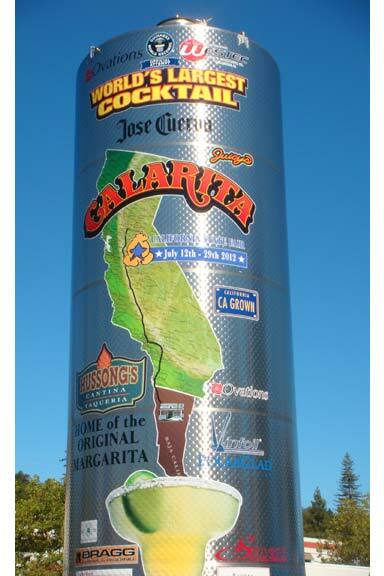 It set the Guinness Record for World’s Largest Margarita at the Cal State Fair 2012, breaking Jimmy Buffett’s Margaritaville Las Vegas record of 8,500 gallons. 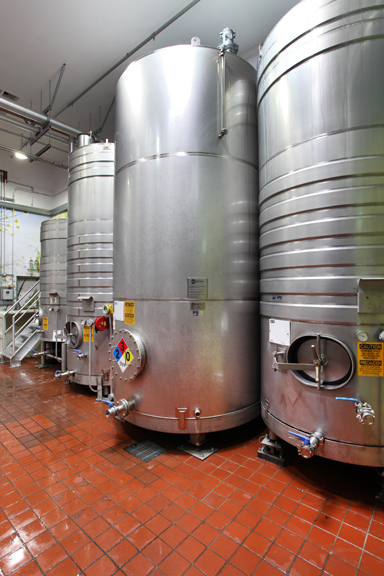 I have worked with Westec for twenty years for excellent wine tanks, catwalks, retrofitted tops and doors, modified glycol jackets. 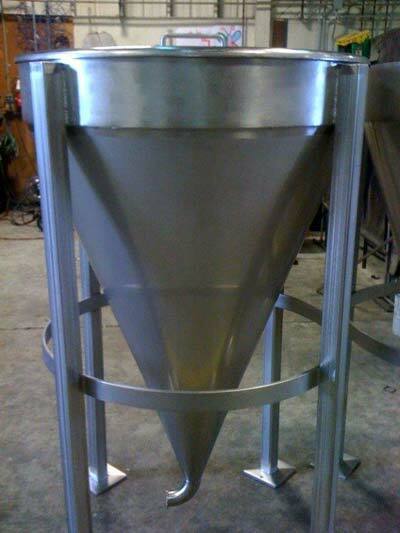 The staff is skilled and experienced and the fabricators are top-notch. Two years ago we built a distillery and Westec designed and built our UL-certified high-proof tank and a mash tank. They are the best in the business, as far as I am concerned, and I would recommend Westec to build the wine tanks and catwalks you need."